The Operations Division, led by the Assistant Chief of Operations, is the most visible division of the Paducah Police Department. It is responsible for enforcing all criminal and traffic laws. The Operations Division is often called the backbone of the department because it is responsible for providing uniformed patrol services to the City of Paducah 24 hours a day, 365 days a year. It is responsible for responding to both emergency and non-emergency calls for service from the public, handling special assignments, and proactively addressing community concerns. In 2017, the department received 52,275 calls for service including officer-initiated calls regarding criminal offenses, complaints, traffic crashes, alarm activations, disturbances, and other events. Patrol officers are first responders to calls for service. They also prepare preliminary reports on all crimes, investigate motor vehicle crashes, and provide many other basic police services to the community. 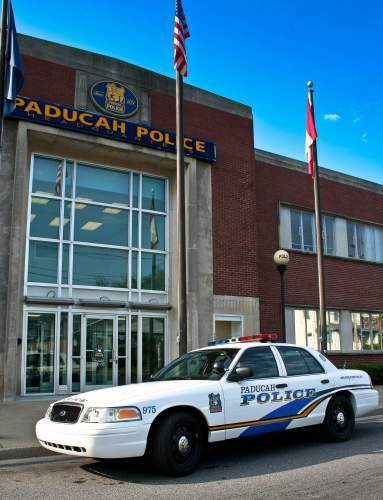 The Operations Division is the largest component of the Paducah Police Department. In addition to the uniformed patrol, the division has several major specialized units which have the responsibility for working in partnership with the community to reduce the amount of crime and improve the quality of life for our citizens. Due in part to our strong community partnerships, major crime is at the lowest rate in twenty years. The department has three patrol shifts, each commanded by a captain, that provide a full range of emergency and non-emergency services to the residents and visitors of Paducah. Within each shift are K-9 teams, which are used in a variety of situations, including drug detection, building searches, human tracking, and crowd control. Call 270-444-8548 to reach the patrol shift commanders. Flex Platoon: The Paducah Police Department has a dedicated small squad of officers who sign up to be part of a flex platoon. These officers have to adjust their schedules to fit the need of the agency since they often handle special events. This flexibility helps the department avoid excess overtime caused by the need to adjust staffing to handle various community events. The platoon also helps with hot-spot patrols targeting those trouble areas as identified through crime statistics.